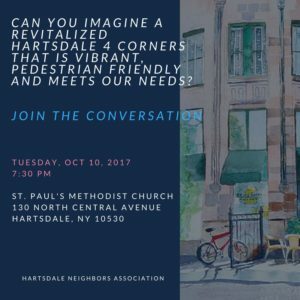 The next meeting of the Hartsdale Neighbors Association is scheduled for Tuesday, October 10th and concerns an issue that impacts all of us who live or work in the Hartsdale area. A proposal to revitalize the 4 Corners is the sole subject of the meeting. A group of talented and motivated residents have worked hard to put together a stunning presentation that demonstrates how the area can be revitalized. We need your voice and support to help come up with a community vision to transform what’s now a congested, ugly intersection into a vital community asset. For anything to get traction, it’s essential to gain community support. 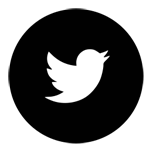 We implore you, as a member of the community, to do what you can to attend the meeting, learn from the presentation what tools the community can use to transform the 4 Corners, and – if you like what you hear – to show support for change. With the right amount of support for change, we can the next step and engage town leadership in a working session. St. Paul’s is on the corner of Central Ave & Jane St. The entrance to Fellowship Hall is through the door on the Jane St. side of the building and down the stairs. 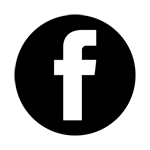 The meeting will start promptly at 7:30PM and will end no later than 9:00PM.